March 10 Hacktivist Campaign – “Op” or “Flop”? 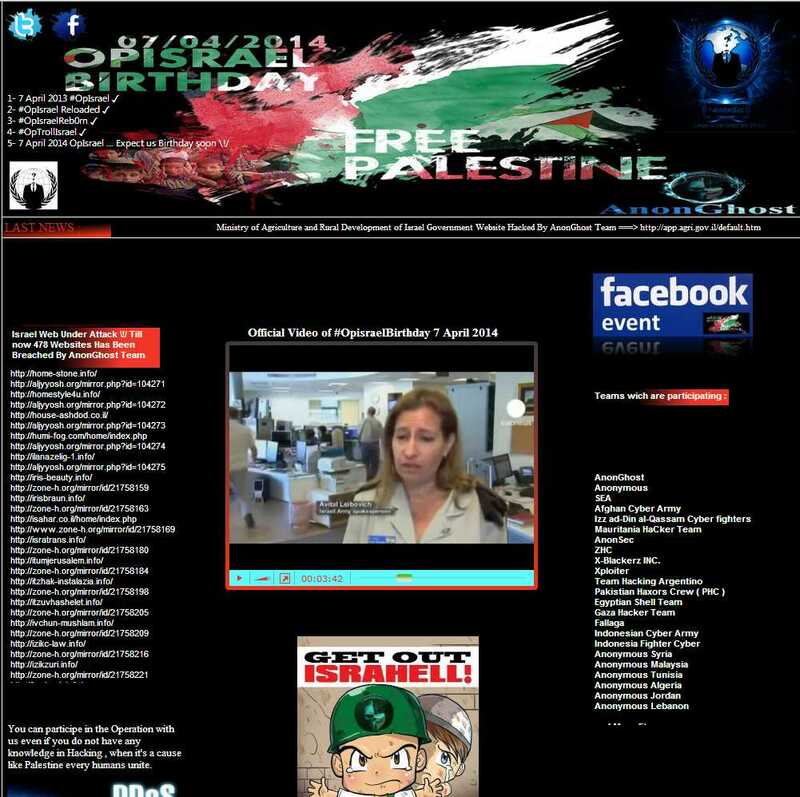 Several hacktivist groups planned to launch a cyber assault (“Op”) against Israel on March 10, as a prequel to a major assault scheduled for April 7. Although the Op was led by the capable militant groups Red Hack (Turkey) and AnonGhost (Tunisia), it did not appear to manifest fully – the scope of the attacks and the extent of damage were marginal at best. Several private Israeli websites were hacked/ DDoSd ?and some email addresses belonging to Bank of Israel employees were leaked (no password or additional details). 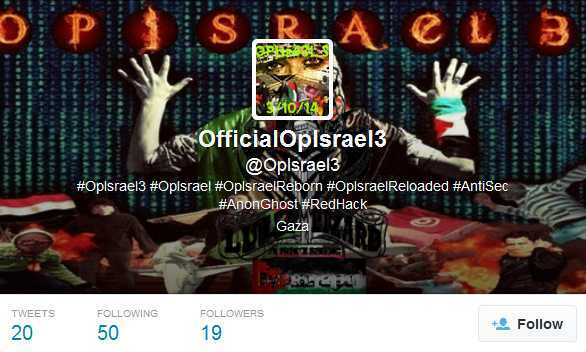 The Op incorporated several alleged attempts to hack Israeli government sites. 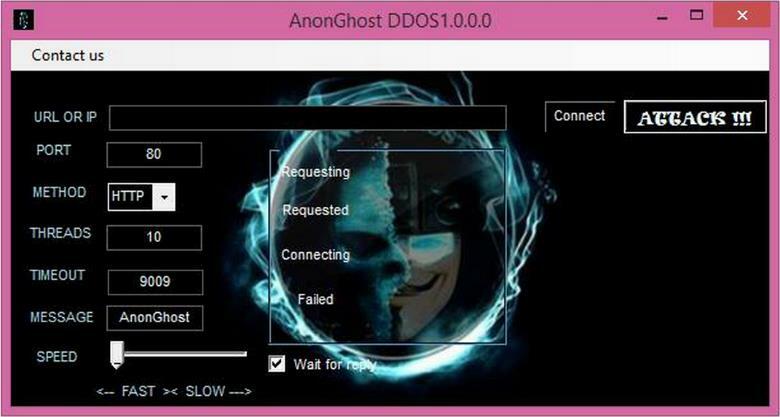 One of these was recorded as part of a tutorial on March 9th – a Tunisian hacker affiliated with AnonGhost uploaded a tutorial to YouTube explaining to beginners how to hack websites with different tools, in order to participate in the #OpIsrael attacks on April 7, 2014. The video demonstrates an attempt to hack an Israeli government website with ByteDos, LOIC, Snake Bite and more. It should be mentioned that this video is one of many uploaded to YouTube during the preparations for #OpIsrael and during the preparations for #OpIsrael and other cyber campaigns. In conclusion, it seems that the March 10 “Op” cannot be labeled a success, not even in terms of a grand rehearsal for the upcoming April campaign. Leave a comment March 10 Hacktivist Campaign – “Op” or “Flop”? 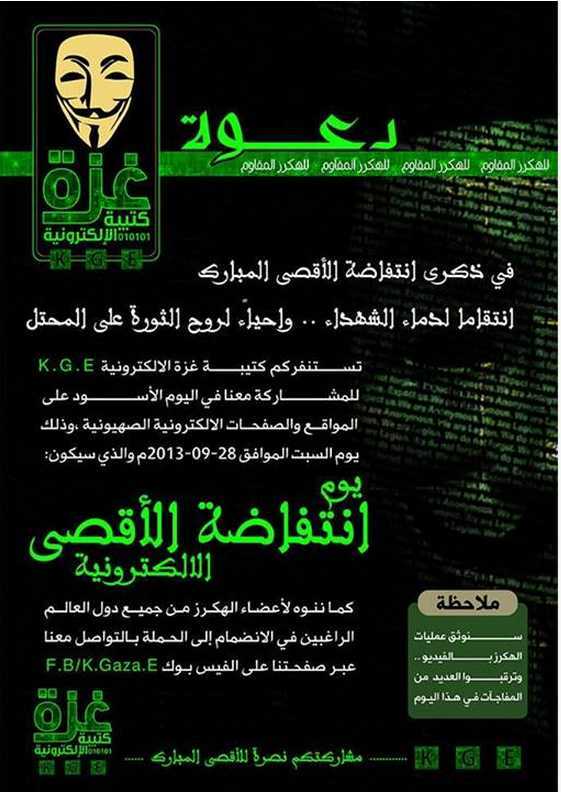 There are many hacker groups with an anti-Israeli agenda that express their empathy with Gaza, for example the Gaza Hacker Team, Anonymous Gaza or the Electronic Battalion of Gaza (Katibat Gaza el-Electroniyya, or KGE). On September 28, 2013, the anniversary of the “al-Aqsa Intifada”, the KGE launched the “al-Aqsa Electronic Intifada” on their Facebook page. They uploaded an official video to YouTube inviting hackers from all over the world to attack Israel, proposing official and financial websites as targets. Many hackers showed their support via social networks and several news websites reported on the upcoming attack. They did not manage to hack any important target, although the group uploaded images from an Israeli database, claiming that they belonged to Israeli soldiers. The KGE has different platforms, such as a Facebook page, YouTube channel, Pastebin account, Google+ and a website (currently offline). According to their Facebook group page, they have over 600 members and supporters. One of them is Nasser Isam (nicknamed Neso), a hacker from Gaza who administers one of the group’s pages on Facebook. We found an image on Facebook of a tool called “KGE Doser”. This may indicate that the group has the ability to develop hacking tools. The group has not mentioned new targets recently, although they have promised to wage cyber attacks in the near future. Who knows when we will hear from them again? As the saying goes, bad habits can be contagious… Our experience shows that expertise in illegal fields and sophisticated methods developed to break the law are traits shared among criminals that sometimes find their way across the globe, between places located thousands of miles apart from each other. Many instances of this phenomenon can be seen in the sphere of physical threats. Weapons and techniques that evolve in one conflict zone and are proven efficient are quickly transmitted to other battlefields and adopted by other terror organizations with totally different agendas to the original one. For instance, our colleagues that trace developments in the physical world recently noticed that explosive “suicide” belts (PBIEDs) that were first deployed in the Caucasus region have found their way into the Syrian conflict, and further afield, into Iraq. These devices are likely intended for use by militants who may choose to initiate the device as a last resort when cornered, thus taking out their adversaries with them. The cyber battlefield is no exception. Web platforms are used to share information and knowledge, often overcoming language obstacles. Once a hacker manages to code an efficient malware or to reveal a crucial vulnerability, we should not be surprised to find it has soon spread on forums associated with groups that totally differ in agenda and motive. This time we wish to focus on the exchange of capabilities between Russian cyber-criminalists and Arab hackers and hacktivists. We recently identified discussions on Arab hacker forums about tools developed by their colleagues around the world. For example, on Dev-Point, an Arab forum that deals with programming and penetration testing, one member published a thread about a DDoS tool with a Russian interface named Dirt Jumper. 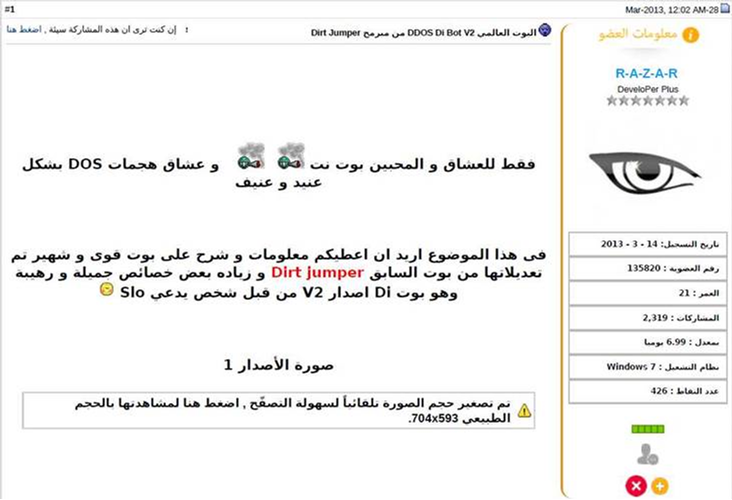 We continued to follow the research into this tool in Arabic and found another message on a hacking forum named v4-team, asking for links to Dirt Jumper. This malware was already recognized on the Russian underground in 2011, where it was sold for $600 on closed Russian forums. Later, its files were leaked on one of these forums, and today it can be downloaded at no charge. We can only guess at how it “travelled” from a closed Russian forum to an Arabic one, but obviously it took a while. This exchange of abilities has also been witnessed in the opposite direction. The LostDoor RAT is a popular malware found on Russian forums. Links for downloading versions of the malware are periodically posted on several platforms and discussions about its abilities are held. A deeper investigation of this malware revealed its origins to be Tunisian, owing to the fact that it is displayed on different platforms as the first Tunisian RAT tool. 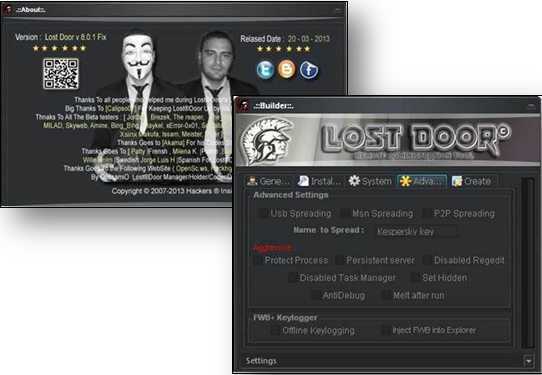 LostDoor is a product by a company named Hackers®Insides Inc. and its developer is a Tunisian computer specialist nicknamed Unique Oussamio. He often uploads links to new versions of his tool via Twitter, Facebook and a dedicated blog. Apparently, Oussamio has ties to hacktivism, as he uploaded pictures of himself wearing an Anonymous mask. This may indicate a trend, when malware developed by hacktivists spreads into the cyber-crime world. To conclude, in the hacker world it does not matter where the malware originates. Northern Africa or Eastern Europe – the only thing that matters is its efficiency. If it can cause enough damage, it will find a way to reach the “right hands” (and shortly afterwards your computer). 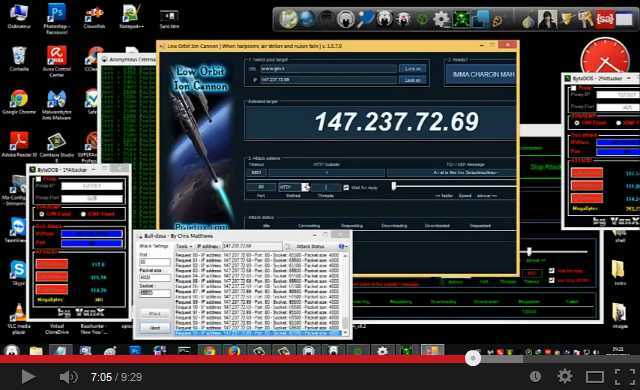 Lately we have seen a new version of the Torshmmaer DDoS tool, created by An0nsec hackers. An0nsec hacker group was established at 2012. The group members have links to the infamous hacker group AnonGhost that initiated several cyber operations last year, such as OpUSA, OpPetrol, and OpIsrael. They usually leak details from databases of companies and countries around the world, such as China, Canada and Russia. They also deface websites. Torshammer is a well-known Python based DDoS script, which is meant for slow POST Denial-of-Service attacks. Originally developed by Packet Storm Security in 2011, it has made the rounds and has been in use by Anonymous, Lulzsec and other Hacktivist groups. As is evident in the name of the tool, it allows the usage of Tor proxies in order to masquerade the attacker’s IP addresses. The POST request has also changed and the Cache-Control and Accept-Charset HTTP headers have been added to it.